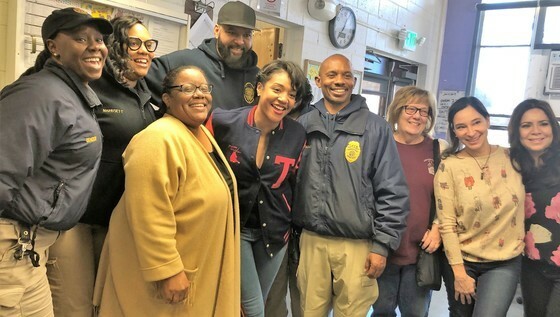 LOS ANGELES—The girls and staff at Los Angeles County Probation’s Camp Scott were surprised and delighted last month when they received an unannounced visit from actress, comedian and author Tiffany Haddish. Ms. Haddish, star of recent movies Night School and Girls Trip, is a Los Angeles native who shares a common background with many of the girls at Camp Scott-being a former youth in the foster care system. 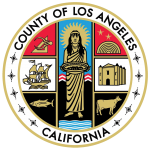 During her tour of Camp Scott, the only all-girls residential facility in the L.A. County Probation system, Tiffany visited the girls’ dorm and offered invaluable advice about growing up and finding their way in the system. She spent several hours talking with the girls about her personal experiences growing up in the foster care system and overcoming homelessness. The life lessons she shared about her journey resonated with the youth going through a similar journey filled with the trauma and pain that comes with a childhood of instability. There where many lighter moments as well, with Tiffany entertaining the girls with her funny stories and radiant personality. Her thoughtful visit inspired the girls to persevere in their journey. Ms. Haddish is dedicated to using her celebrity platform to elevate and uplift youth in communities around her. She started the She Ready Foundation, with a mission to assist local foster care programs throughout the United States. Over 85% of young people within Probation have been involved with the child welfare system, whether it be for foster care placement or allegations of abuse and neglect. The foundation seeks to raise awareness of the foster care system and provide funds and luggage for those impacted. Fifty cents of every ticket sold for her stand-up comedy shows go toward her foundation funding. Within days of her visit, Tiffany sent 30 roller suitcases containing a toiletry package with toothpaste, deodorant, body wash, body cream, and other personal items to the girls at the camp to be given to them upon release. Tiffany has committed to sending more suitcases for additional girls. Remembering her days in the foster care system, Ms. Haddish knows that suitcases offer the girls a sense of ownership over their belongings and provides a safe and decent place to keep the things most valuable to them. Tiffany Haddish’s commitment and dedication to leaving a positive mark on the lives of L.A. County Probation youth will always be appreciated and never forgotten.